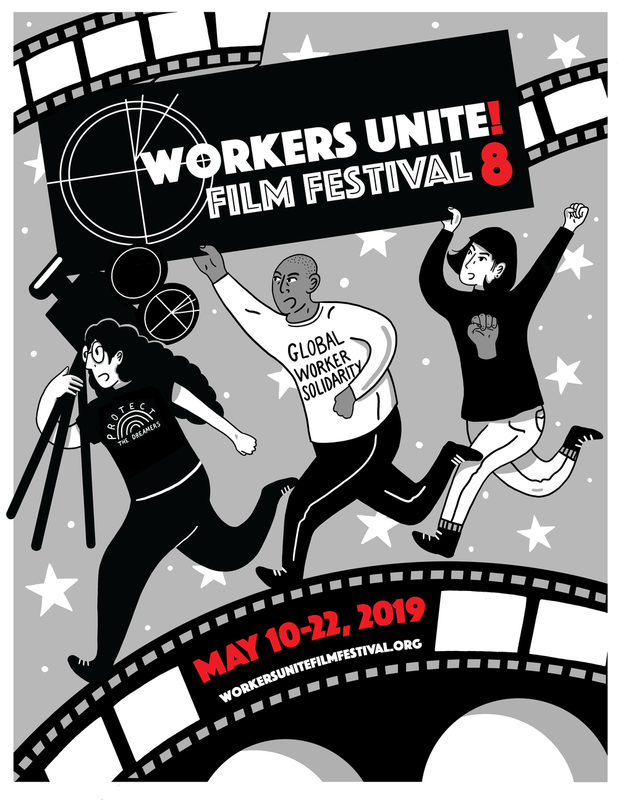 The Workers Unite film Festival salutes and supports our Brothers and Sisters, fighting for fairness from greedy production houses seeking to cut healthcare benefits. Read about it here! “Race to the Top” protest by AFL-CIO President Richard Trumka and the Writers Guild of America, East of reality production company Atlas Media for refusal to provide employee health benefits. AFL-CIO President Richard Trumka, NYCCLC AFL-CIO President Vincent Alvarez, and an assortment of Labor and OWS activists joined the Writers Guild of America, East, (WGAE) Protest Against Reality-Show Production Company Atlas Media, and urged Atlas to join the "Race to the Top" by providing Health Benefits for their Writers and Producers. AFL-CIO President Richard Trumka, NYCCLC President Vincent Alvarez, along with members of IATSE, IBEW, CWA-NABET, RWDSU, TNG-CWA, SAG-AFTRA, UAW, and OWS joined Atlas Media employees and their union, the Writers Guild of America, East, along with WGAE President, Michael Winship, as they called on Atlas Media, a major reality-television production company, to join the "Race to the Top" and to provide health care for its employees. The protest started on Fri., April 27 at 10:00 a.m. Writers and producers gathered outside of Atlas's offices and staged an actual race along West 36th Street to demand that the company not settle for "last place" when it comes to employee health benefits. Atlas, which has reality series on several major cable channels such as Discovery and Travel Channel, is one of the production companies that is a focus of the “Non-Fiction Writers & Producers United” campaign by writers and producers to provide health benefits to a part of the industry long considered to be the “sweatshop” of the writing business. You can get more information on this campaign on the WGAE website at; www.wgaeast.org or by contacting Justin Molito, WGAE Director of Organizing at jmolito@wgaeast.org.